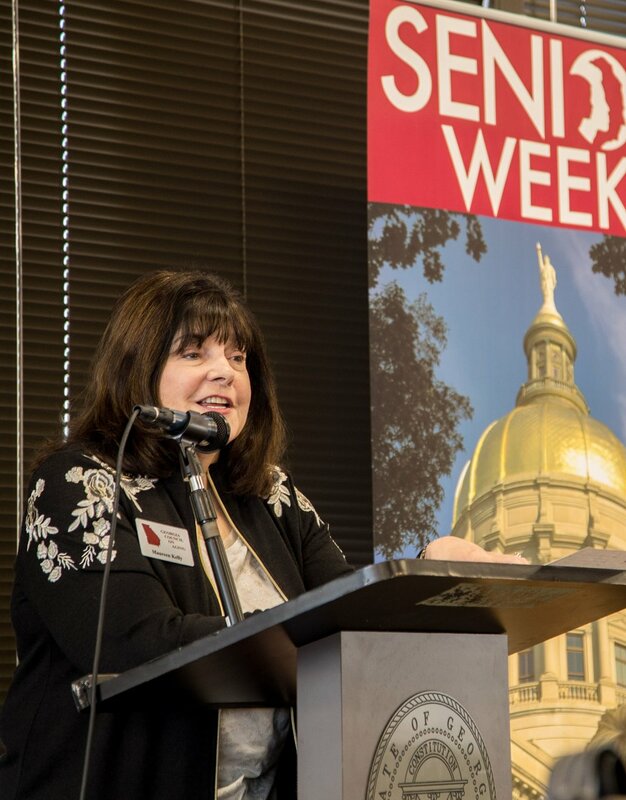 Over 600 people come to the Capitol during Senior Week to advocate on behalf of themselves and seniors across the state. We all wore our green scarves with pride and spread the word about the needs of elders in Georgia. Many met with their elected officials to discuss the CO-AGE priorities. A special thanks to our generous sponsors who help make the event possible. Once again this year, Guides were available to help navigate the Capitol and meet with legislators. In addition the Council members were present to welcome and assist participants and present the Distinguished Older Georgian Award. Please enjoy the photo gallery from this year!